Social media is still the best platform for reaching your audience. It allows companies to analyse the needs and desires of their consumers and tailor their content to fit those personalised needs. However, there is a new tool that is on the rise to present itself as an effective way to connect company and consumer. Podcasts and audio content are beginning to be more than just a trend. 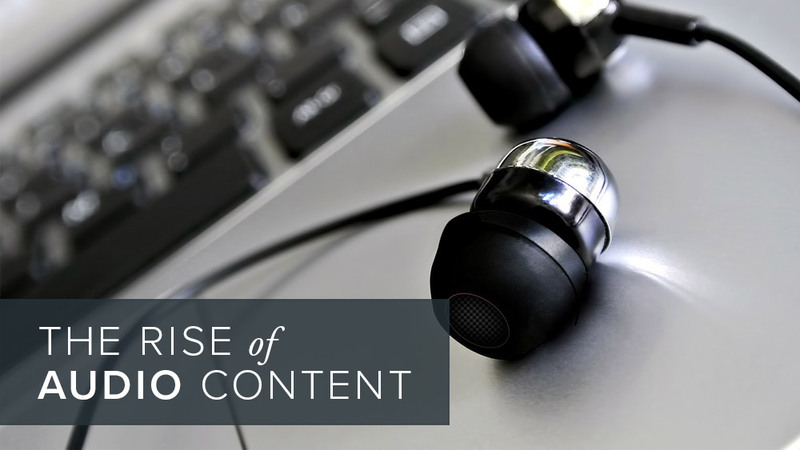 Audio content is convenient for consumers: Listening to audio content is much easier for consumers when they are going about their daily lives. Car commutes and exercising are tasks they can still complete all while absorbing your content. Audio content is cost effective to produce: Starting your audio content is inexpensive. All you need is a microphone and editing software. It’s also time saving as it is faster to produce than writing or making a video. Audio content builds trust and thought leadership: Being able to hear your voice, your audience will have a better feel for your company and brand. They’ll feel more connected to you and your message because they can hear your passion and excitement about your content. Start listening to other podcasts: You can start broad at first but eventually you’ll want to search for podcasts that may be competitive to what you are advertising or are at least within your company’s interests. Take notes about what has worked to make their podcast successful. Guest star on a podcast: Build your following by being a guest on an existing podcast and let that audience know where to hear more from you. Podcasts and audio content are easy to make but they do require regular updates to keep the material fresh and your audience engaged. Podcasts do require a more long-term commitment but as subscriptions to podcasts rise, the benefits to establishing a loyal following will rise as well. ALHAUS offers a variety of content management services and can help you ensure your audio content represents your brand and reaches your intended audience. Check out our services to learn more!